A great trip to Colombia requires at least five days to get a taste of one big city and its surrounding areas. The more days you can add the more opportunities to explore different pockets of the country - eight or nine days is enough for two or three regions. With two weeks you could tour the walled city of Cartagena, visit the capital Bogotá, explore the Amazon and do some activities along the way, including scuba diving or mountain biking. This article breaks down the possible itineraries, ranging from three to 14 days. 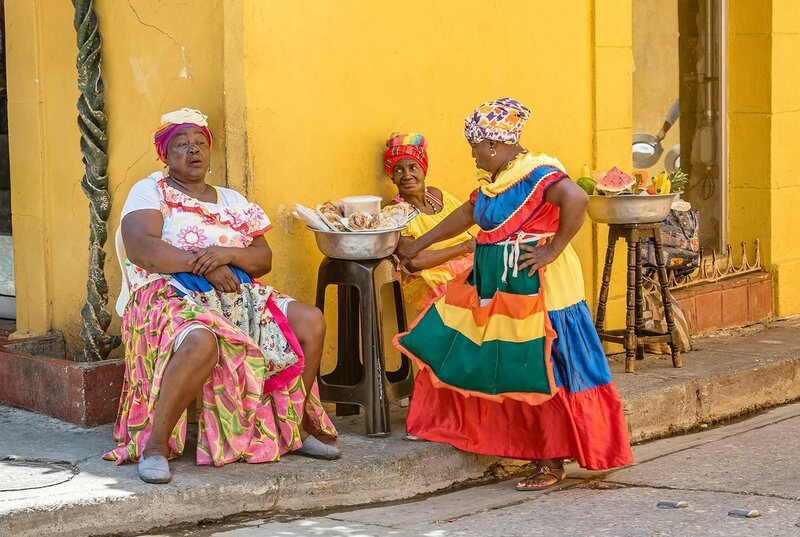 Fruit Vendors in Cartagena, a great designation if you have just three days in Colombia. With three days in Colombia you'll be limited to one city and its surrounding areas. 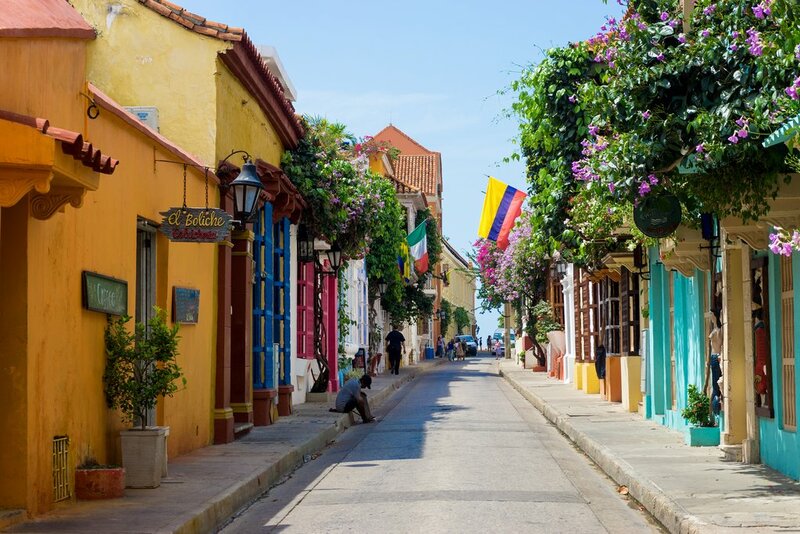 A trip to Cartagena - the Queen of the Caribbean - is the most popular option for a short trip (non-stop flights from Miami take just 2.5 hours). There's a lot to see and you're days will be packed with walking tours and visits to museums and historical places of interest, plus a little time to just laze on a beautiful beach. You can also make a short visit to Medellín or Bogotá, both also have international flights. With five days, it's best to stick with one city and make day or overnight trips within the region. This 5-day itinerary for Cartagena will take you to the best sights of the city, plcolous the Rosario Islands and some diving. Traveling with your family to Cartagena and want to keep the kids happy? consider this 5-day itinerary. If you choose Bogotá as your base, spend three days in and around the city and then make an overnight trip to Villa de Leyva and its nearby attractions. The most popular day trip from Bogotá is to Zipaquirá and the underground Salt Cathedral. Medellín is another popular destination, thanks to its year-round spring-like weather, good food, museums and adventure activities around the city. Small holiday towns and villages nearby make for good day trips, including Santa Fe de Antioquia. Cartagena five-day itinerary as stated above plus a side trip to Parque Nacional Tayrona or San Andrés & Providencia. Medellín area for a couple days plus a trip south to the Coffee Country (Zona Cafetera), or two days on the Pacific Coast. Bogotá area and head further north to explore Villa de Leyva and San Gil. 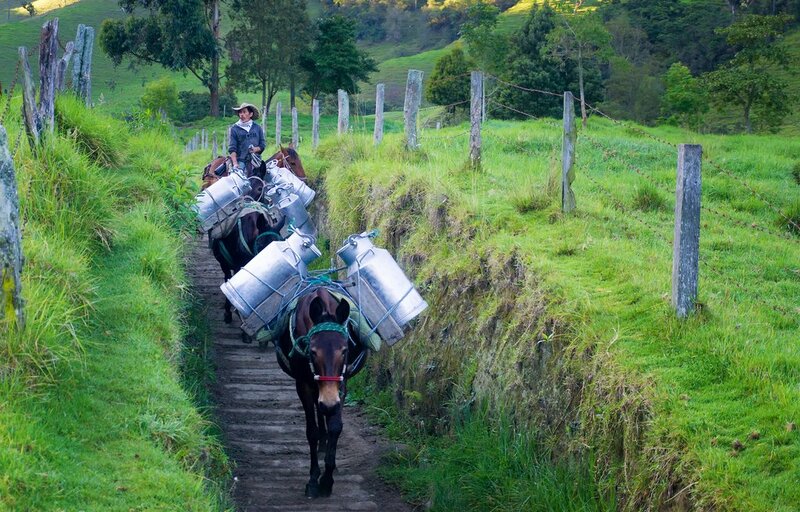 Donkeys carry milk to town in the Valle del Cocora. This is the most typical trip length for a visit to Colombia. You can stay in one region to gain a more in-depth feel for the area, or take a flight and explore two areas. Consider a route that allows you to fly into one city and depart from another, for example flying into Bogotá and departing from Cartagena. This will save time by not having to backtrack. When choosing where to go on a trip to eight to ten days, become familiar with the five main geographic regions of Colombia - the Caribbean coast, the Pacific coast, the Andes Mountain Range, the Grassland Plains, and the Amazon Rainforest. Then build an itinerary around the region (or regions) that align with your interests. Hikers and adventurists will likely want to spend less time around the cities more of the trip amid Colombia's mountains, rivers and coastlines. If you have come to Colombia with the intention of overnight trekking, this 10-day itinerary includes Bogotá, the Caribbean coast plus a four-day trek in Los Nevados. Another option is to take the five-day trek to the famed Lost City, and then use your remaining time on our earlier mentioned 5-day itinerary to Cartagena. Thrill-seekers can opt for this 9-12 day itinerary, which avoids the cities and instead focuses on adrenaline activities including trekking, horse riding, whitewater rafting and cave exploration. For a more off-the-beaten path trip, consider this 10-day itinerary that includes Bogotá, Medellín and Manizales, plus a side trip to the El Chocó region on the Pacific Coast. If off-the-beaten path is your mantra, you could consider six or seven full days on the Pacific Coast, connecting your international flights through Medellín or Bogotá. Other non-traditional destinations you could consider for five to six days include Los Llanos or the Amazon, combining these places with a two or three day stop in Bogotá. 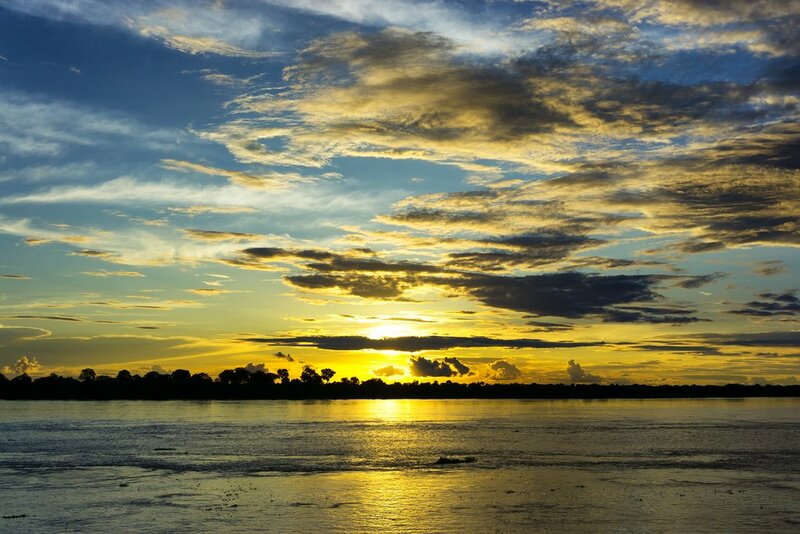 Sunset over the Amazon River near Leticia. Kimkim Colombia specialist Juan Ortiz explains some of the different regions that can be covered in 14 days in this trip planning summary.